Compact design, tough construction, accurate results and long functional life are the specialties of our Oil Flow Indicator, which is why it is extensively in demand. 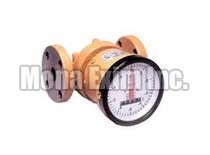 We are a recognized Manufacturer, Exporter and Supplier of Oil Flow Indicator from Maharashtra, India. It is precisely designed by our professionals under the guidance of experts so that the quality stay intact always. We make Oil Flow Indicator available at the nominal prices.